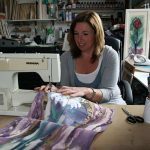 Jacqueline is a Textile Artist and following her degree in Textiles at Winchester School of Art, she has worked extensively running specialist workshops in schools and colleges across Lancashire, Cumbria, and Cheshire in various media. A strong love of colour and fun is evident in her quirky illustrations which she produces on a variety of themes. 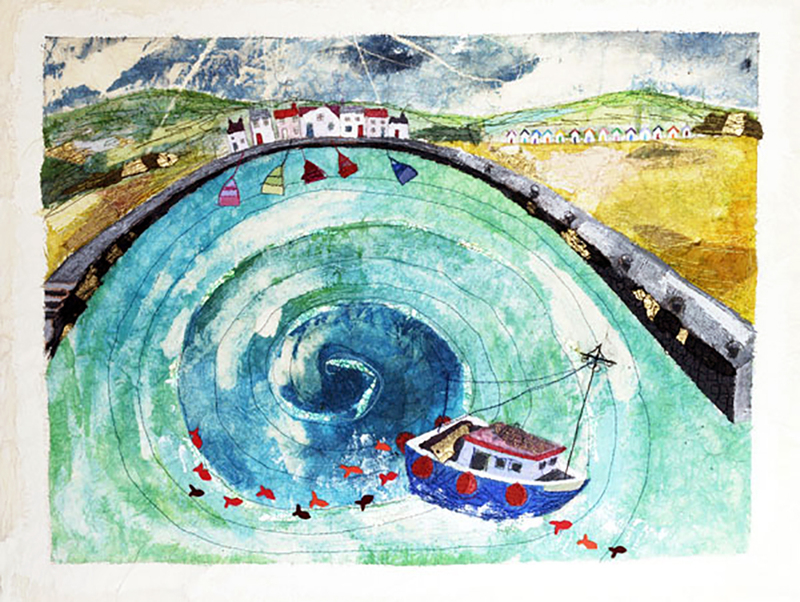 Currently working part-time as an artist in residence with children in school, the freedom of their drawings and paintings inspire her in her own work. 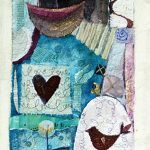 Her images start from her sketchbook and are drawn onto cotton, canvas or handmade paper and hand painted with layers of inks. 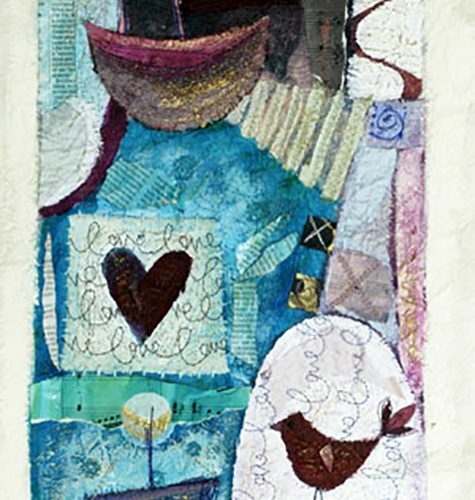 The rich surfaces are then built up with collage and finally stitched bringing in the detail into the piece. Sometimes her illustrations incorporate music, words, clocks, and manuscript and more recently photos of places she has visited. Often the work is finished with hand stitching, adding beads, shine and lustre to the pieces. 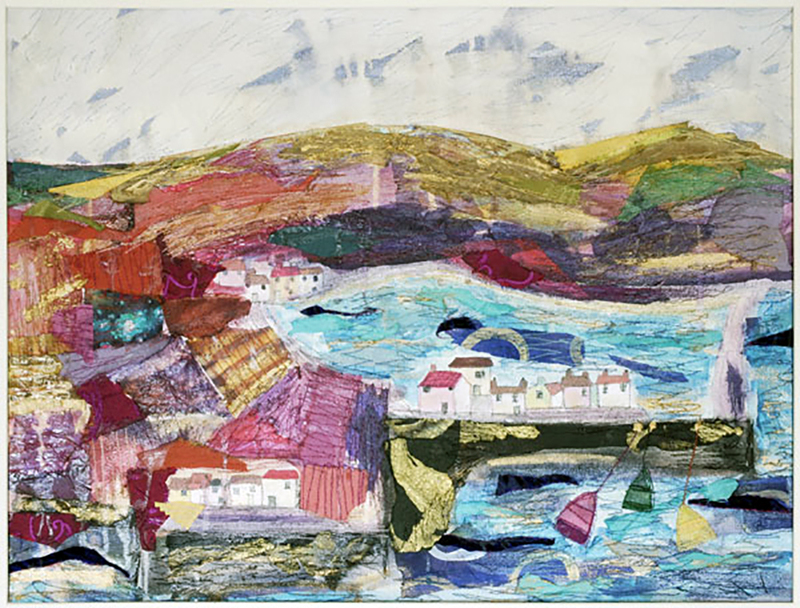 Jacqueline has exhibited her work in galleries nationally and previously in New York, Barcelona Florence and Milan. Whilst working freelance she also exhibited in Germany and London. 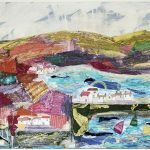 Her work is based on a variety of different themes including landscape, floral, birds, coastal, architectural, cats and camper vans to name a few. 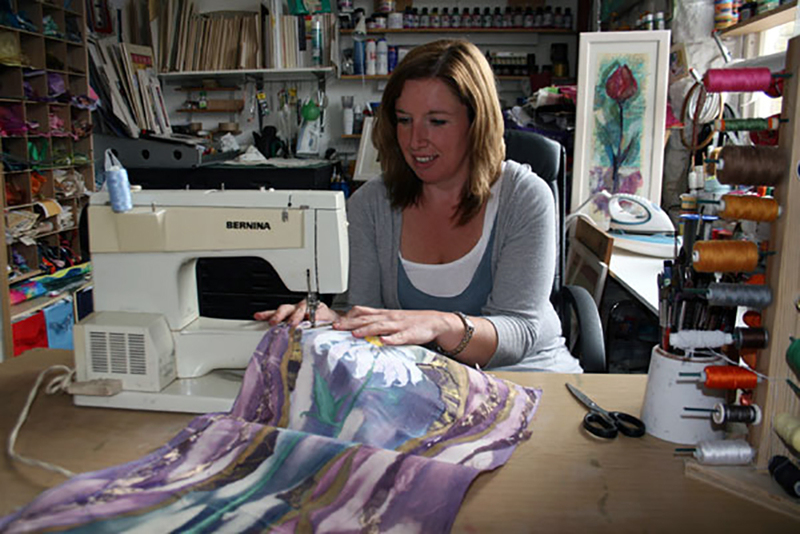 She produces limited edition prints of her work and often is asked to work on commissioned piece. 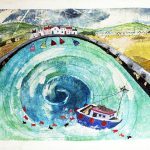 A range of new work including framed original pieces will be on display, alongside cards and limited edition prints of popular themes.